Buying a home of your own remains a popular rite of passage across the UK, even though prices are high and supply is often tight. Despite that, many of us spend our time saving, watching the market and when the time is right, searching, visiting and viewing potential perfect properties. However, even when there are not many houses on offer, the differences between properties for sale remains large. That’s why it’s useful to make a wish list to help narrow down your search and stop you getting carried away with a house that doesn’t really offer everything you need or even want! Making a house hunting wish list can be exciting as you think of all the details, features and rooms you’d love to have. But, here’s the rub – while making that wish list, it’s important to know that you’ll have to make a compromise or two if you ever expect to become a homeowner. The order of importance of these three details differs for everyone, but they are typically the most important criteria when you’re considering the biggest purchase of your life so far. Of course, your wish list is probably quite a bit longer than those three details. But, while there are many changes you can make to a property, often quite easily, these three are less flexible, while remaining the most crucial part of your search. For most home buyers, a compromise often must be made on one of those elements – which one you’re willing to bend on, depends entirely on your situation. We don’t want you to be put off by our above assessment, it’s just that after years of experience, we at Cathedral City Estates, really do think that honesty is the best policy. 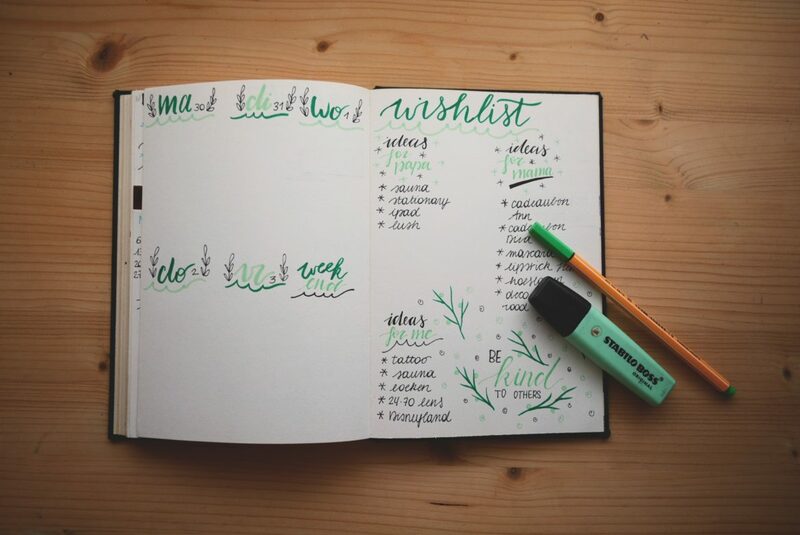 Of course, a dose of reality shouldn’t stop you from creating your wish list. Indeed, it could prove crucial when you find the right property and are close to committing to the offer and purchase! It’s useful to begin your house hunting wish list with a ‘must have’ section. This tends to include the three details above – unless you already know you’re flexible on one or more of them. Details like an upstairs bathroom, secure outside space or off-street parking, can also feature here. But, it’s your list, so it will be tailored to your own needs and wants. For the ‘nice-to-haves’ part of your wish list, always keep in mind that there are many details you can improve and add yourself. Try not to get too hung up on the décor – a lick of paint and the right artwork and furniture can completely transform a whole house. In addition, while room size is important, remember that work can be done here too – walls knocked down. Or, it’s much easier to add movable walls which can be pushed out or back, to suit your needs. These changes, if made by you, are also an excellent way to add value, which is a reward you’ll reap in the future when you remortgage or sell. As we have previously stated, as you create your wish list, be aware that compromise on that list is highly likely if you want to buy a home of your own. Among the wish list items that tend to be a compromise worth making is size. In many cases, there is an opportunity to make a property bigger at some point. We know this isn’t always possible, but in many areas of the beautiful Scottish countryside villages and even the towns and cities, planning permissions for extensions and alterations are granted. Yes, this will come at a future cost. However, if it’s extra space you don’t need right now and all the other points of your wish list are possible, then it is one area where making your best offer, could work out well. Location is sometimes trickier to compromise on, but there are situations when it’s the right one to make. Of course, it depends on the reasons behind your location preference in the first place. If its travel related, spend time researching alternatives that equally suit your needs. If it’s schooling, there are often more good options for your children than you initially realise. Take some time online and visiting other potential areas, to find out a little more about other education options. When work and family are involved, it’s less simple to find an alternative and in those cases, then perhaps location isn’t the right compromise for you. As you search, visit and view properties, your wish list may become more worn while becoming more important, too. After looking in – and out – of your location and size comfort zone, you may think there is some wiggle room on price. The area of finance is one that you really do need to be on top of, particularly with so much economic uncertainty surrounding Brexit right now. While you might be able to comfortably pay a slightly higher mortgage on the great rate you’ve secured now, what if interest rates rise more quickly than currently anticipated? Even if you’re on a five-year fixed rate, think long and hard about the cost implications of a notable increase, when it’s time to remortgage. Price is rarely the right option to compromise on, particularly if the more expensive dream home you love, is something you can create yourself in a few years, with another property in the right location and a better price tag. Buying a home can be very exciting, particularly when you have your ideal home firmly in your mind. But remember, over time and with the right changes, you can probably make a home that’s even more perfect than the one in your mind’s eye if you just make a couple of compromises on your property wish list. If you would like to find out more about what is and isn’t possible in Scottish property world, please give us a call or pop into our Cathedral City Estate agency branch for a chat. We’ve helped many people find their perfect home and would love to help you with your search, too.